From “OMG” to “Om” in 30 minutes – join us for Kids’ Yoga! Yoga helps kids connect with their bodies, breath and minds, promoting positive body awareness, focus, compassion and individuality. The 30-minute sessions are led by Danielle Connor, a nanny, actress and qualified yoga instructor who specialises in children’s yoga. She guides kids through this enjoyable and healthy activity, with parents and carers invited to join in on all the stretchy, bendy fun. 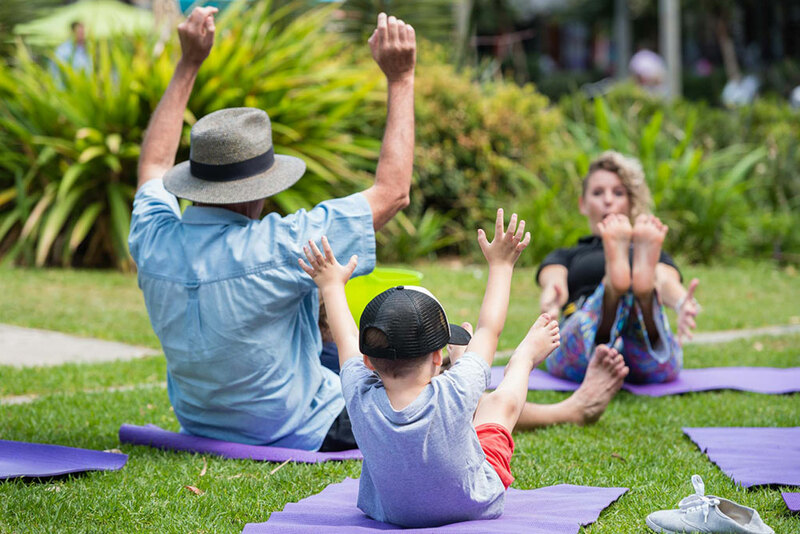 The yoga classes are tailored for pre-schoolers, aged 2 to 5 years, with primary school-aged children able to participate during school holidays. Mats are supplied so there’s no need to bring any equipment or wear fancy gear. In case of bad weather, the activity will be held nearby in the Monkey Baa Theatre foyer. Bringing their French love affair with Vietnamese flavours to Darling Quarter, Taste is originally from Surry Hills.